Since the GM EN-V debuted today, here's another balancing act which has caused furled brows over its necessity. 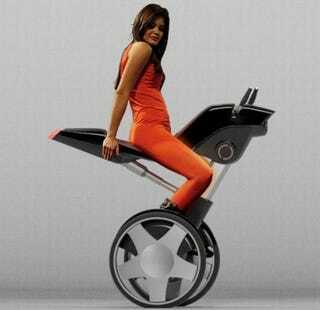 The Taurus Concept is a compact, urban-targeted, open-top, saddle-ridden vehicle balancing on two wheels. Wait, isn't that a motorcycle? GM EN-V: The Pac-Man-Like Future Of Urban Travel?